palermospizzapayout.com – Palermo’s Pizza Payout Sweepstakes. 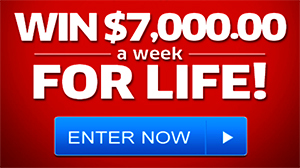 You could win $100,000 cash prize! Enter http www palermospizzapayout com Palermo’s Pizza’s Payout Sweepstakes for your chance to win a $100,000 grand prize, a 2012 FIAT car, or one of thousands of Palermo’s Frozen Pizzas. Car and cash sweepstakes have always been our readers favorite promotion sweepstakes. And this time we have both in the same contest. Palermo’s Pizza is a brand of frozen pizza manufactured by Palermo Villa Inc. Palermo’s Pizza are delicious delights East Coast style pizza. To access the sweepstakes you must have in your possession a unique code. Look for specially-marked Palermo’s Hand Tossed Style Pizza and Palermo’s Primo Thin Pizza packages, where you will find a unique code printed inside the box. Visit http www.palermospizzapayout.com to enter the sweepstakes online. This marketing promotion ends on December 31, 2012. Good luck! This Sweepstakes has Ended!